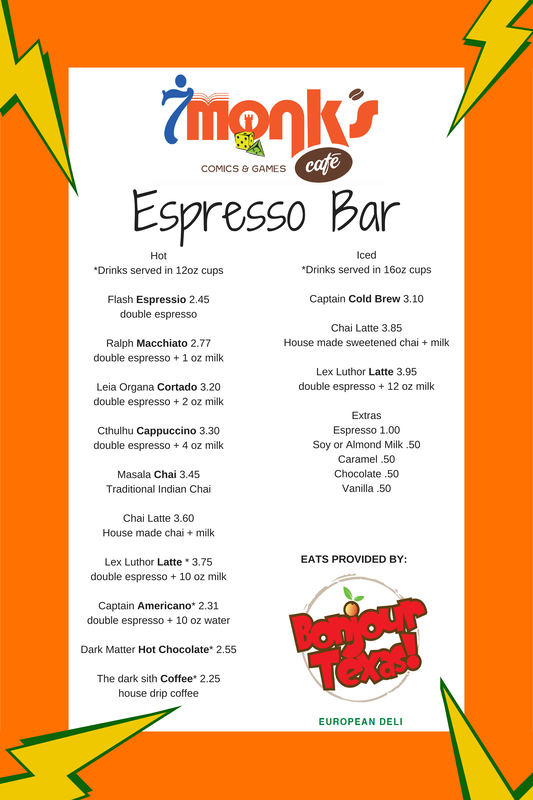 At 7 Monk's Cafe- our coffee & food menu is inspired by the comic book world! Stay tuned for out Superhero menu! Thanks a latte for checking us out!